If you are considering trialing The Den, we are currently providing a 3 day free trial that will enable you to decide for yourself if what we have to offer suits you!! Prior to booking your first session, you need to have your email address registered in the system. This can be easily completed by sending us an email with your full name, asking for online booking registration. Note: The Den is a community of genuinely hard working participants and space is of a premium. Coaches, trainers, Personal Trainers from other gyms are not entitled to the free trail. This also applies to non residents of Canberra. 20/10 Strength and Conditioning is a low impact and high intensity interval session. This format is scientifically proven as the most effective aerobic and anaerobic tool to produce the best possible results. Sessions have been developed over 4 years and improves and enhances joint mobility, core stability and functional movement. Session duration is 40-50 minutes. MC 35/35 is a challenging addition to your weekly fitness program, formatted to provide hypertrophy (muscular growth). The loading is heavier, circuit format slower and is designed to complement the 20/10 session. Duration is 45 minutes. Raw Strength is designed for those who are looking to incorporate a more advanced lifting and strength regime into their weekly system. There is an emphasis on loading in small classes with close personal attention on technique, progress and intensity to maximize results. Duration is 40-50 minutes. This session has recently challenged participants to a new high in aerobic conditioning while providing a great sense of achievement. 3 minutes of continuous high / moderate activity has the ability to push you mentally and enhance your aerobic threshold. 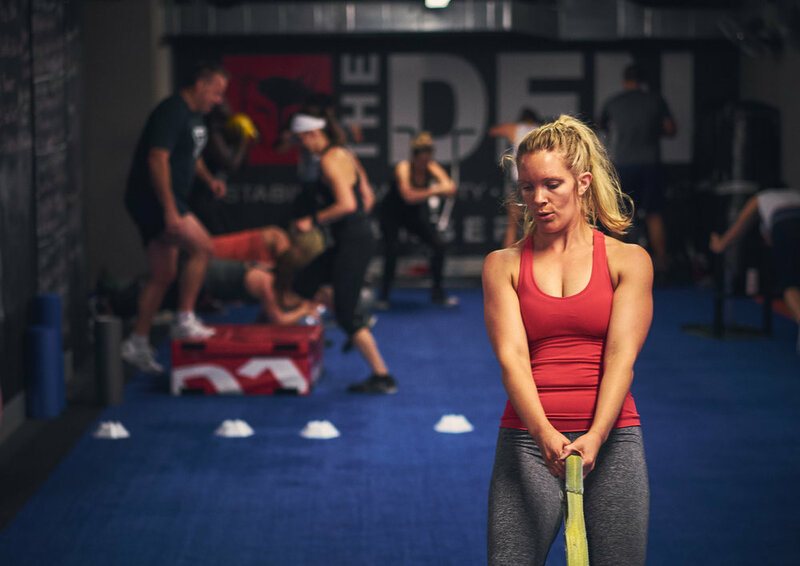 Six stations at 3 minutes for the first round is the first test, then to allow the intensity to be maintained, we reduce the volume while continuing to provide the exercise variation and intensity to keep your mental focus. This session is recommended for those with a medium to high level of condition, but one of the most popular and enjoyable new sessions. The latest addition to the timetable is seen as the toughest. 7 minutes of 4-5 exercises completed continually at your pace, but there isn't much ret once the sirens goes. 2 minutes recovery between each stations and we do 4 stations which is 36 minutes in total. Short but very sweet, one we suggest you take on with at least a medium level of conditioning. Power Yoga is a powerful form of yoga that will challenge participants both physically and mentally. There is a large focus on core engagement and balance through out the class. However, participants will benefit from this form of yoga regardless of their physical limitations, fitness level, age, experience or background. Power Yoga supports accelerated results in overall body strength, confidence and balance. It is a perfect complement to the various methods of fitness provided by the Den for members in attaining the results they desire. The Den has perfect facilities and session designs for either team conditioning needs, wet weather options and/ or business 'Team Work' sessions. Sessions can be personalized and delivered at a time convenient to your groups schedule and prices are negotiable. This, coupled with the EQ Café and function rooms, makes the Equinox Business Park a great venue for businesses and sporting teams alike.